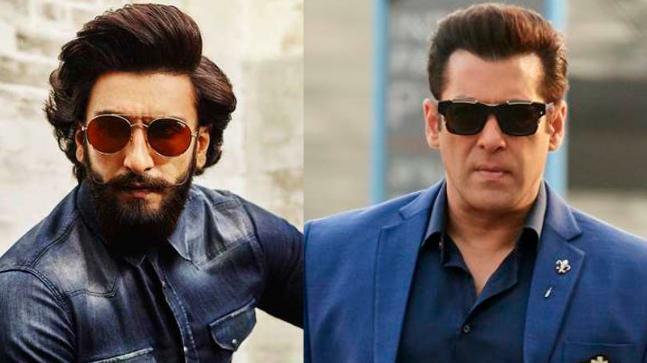 Salman Khan Thinks Ranveer Singh Is In The Top League Of Actors And Has Great Potential! Ranveer Singh has taken our breath away with his performances. He for sure is one of the most talented actors in Bollywood. He never fails to surprise us, be it Bajrao Mastani, Padmaavat or Simmba, the actor had amazing energy which powered the screen. And now we have no doubt in taking his name among the leading actors of Bollywood. Well, that’s true and we completely agree! On the work front, Salman Khan has wrapped up the shooting for his upcoming film Bharat which will be hitting the theatres on Eid. And Ranveer Singh will be next seen in the film which features India’s win in 1983 Cricket Worl Cup. Ranveer will portray the role of Kapil Dev.